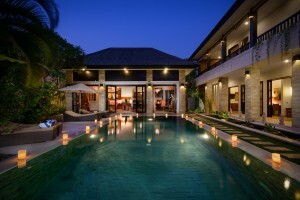 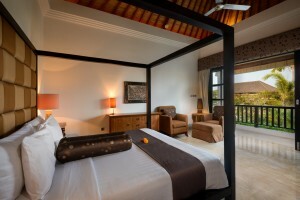 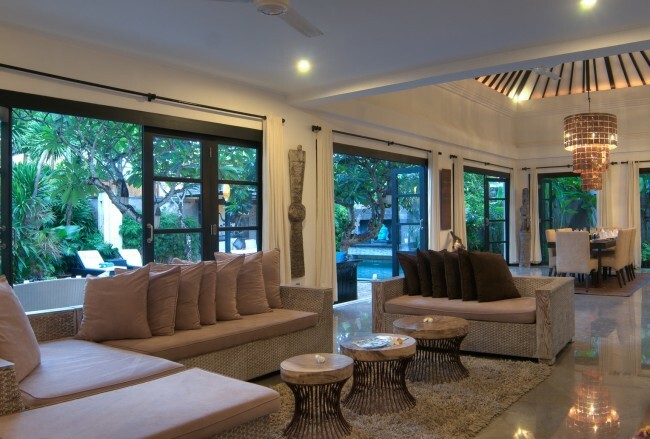 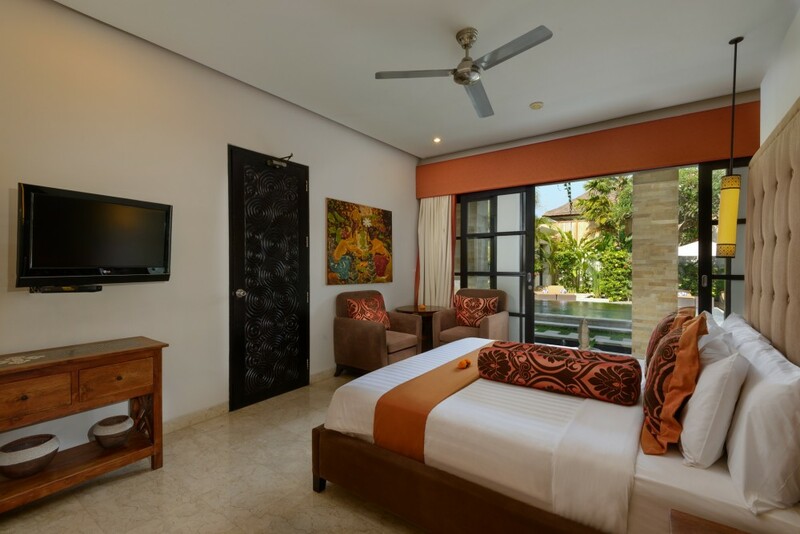 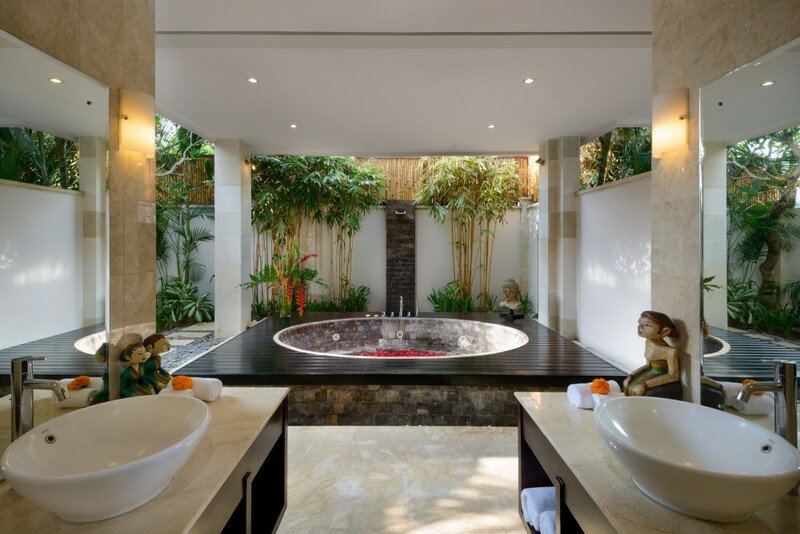 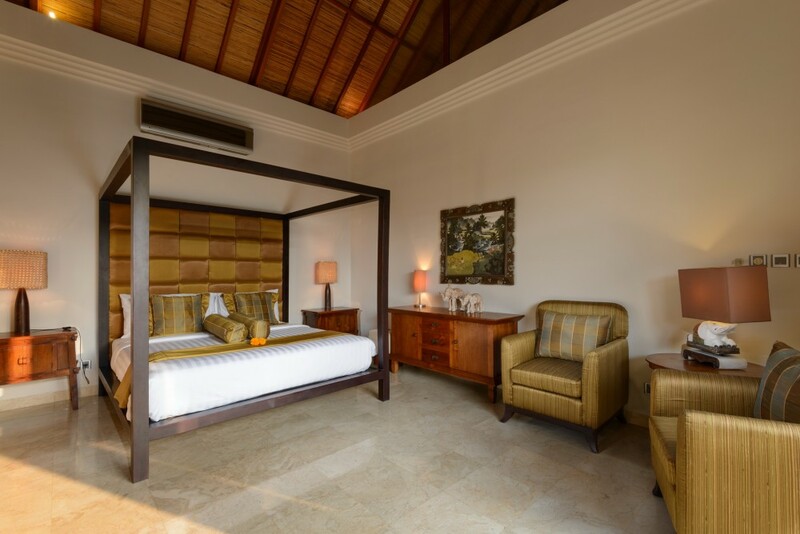 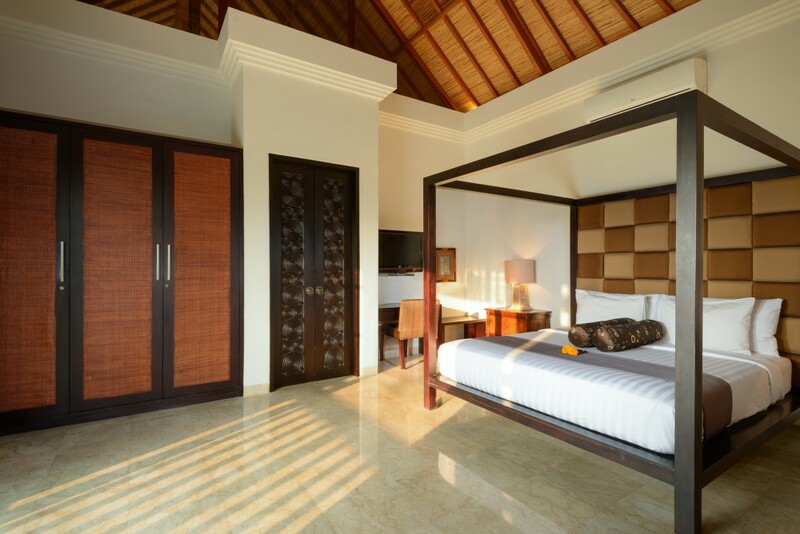 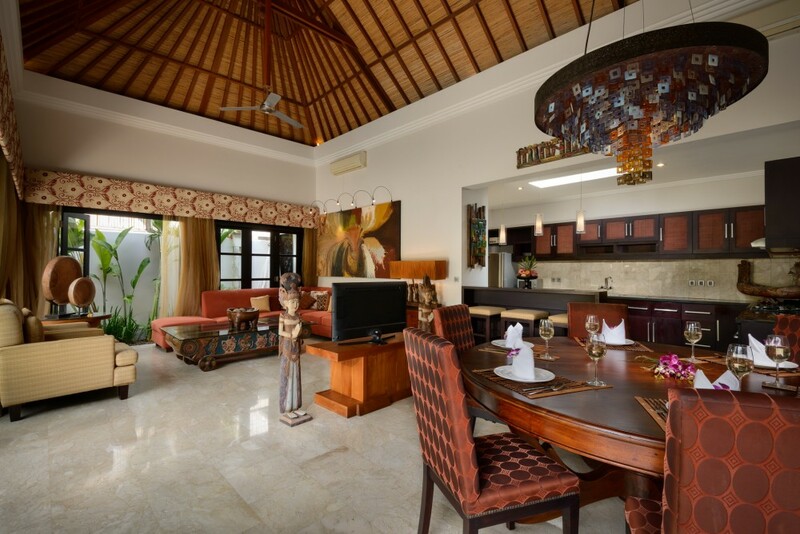 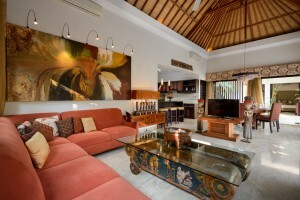 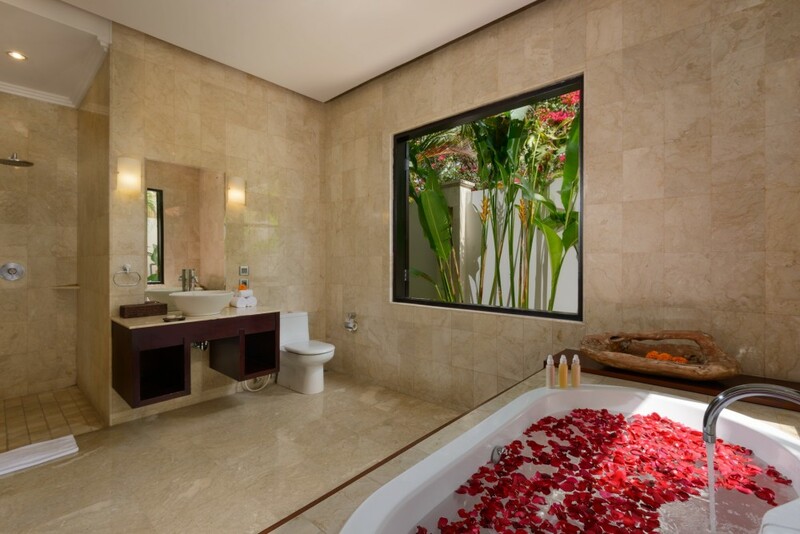 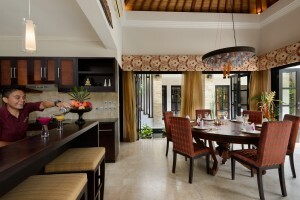 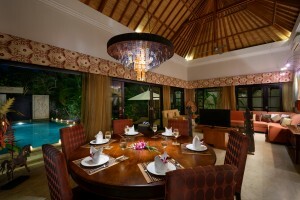 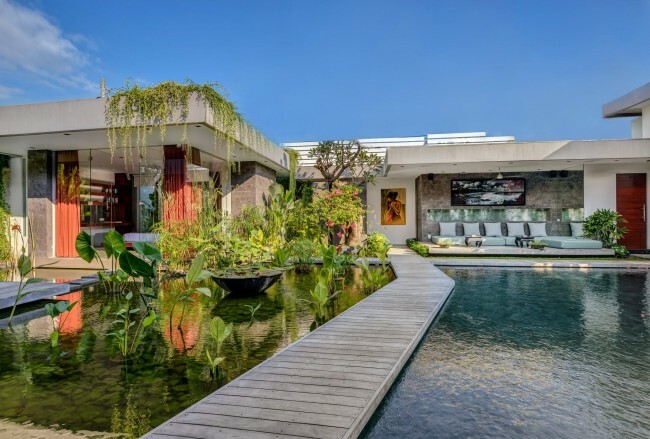 Villa Amman is superbly located in Seminyak on the southwest coast of Bali, located within the highly rated villa estate of The Residence Villas. 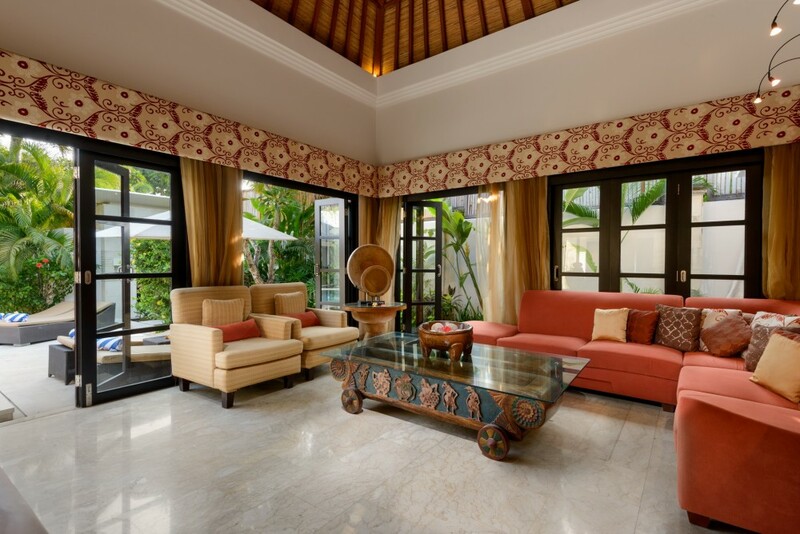 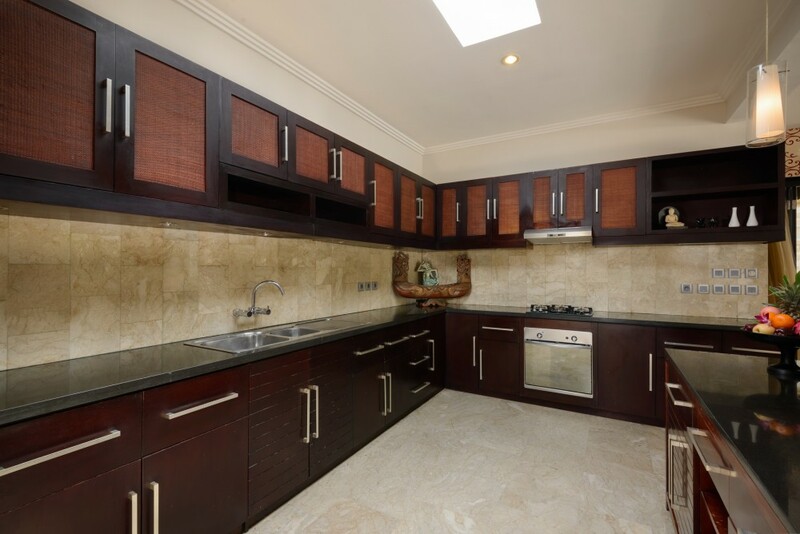 This 4 bedroom luxury private villa, offers a private swimming pool, tropical gardens and wonderful indoor/outdoor living space. 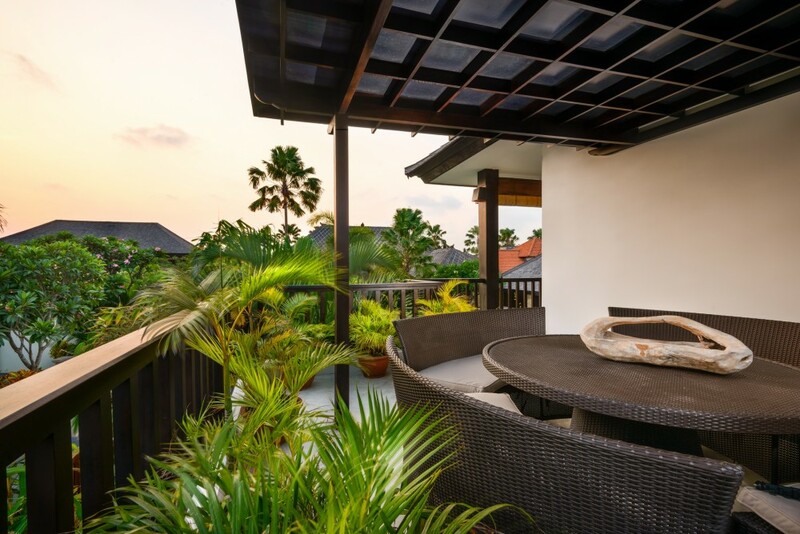 Conveniently positioned within easy reach of everything that this highly sought–after suburb has to offer, yet tucked away in a private estate far enough removed to ensure a peaceful and relaxing holiday. 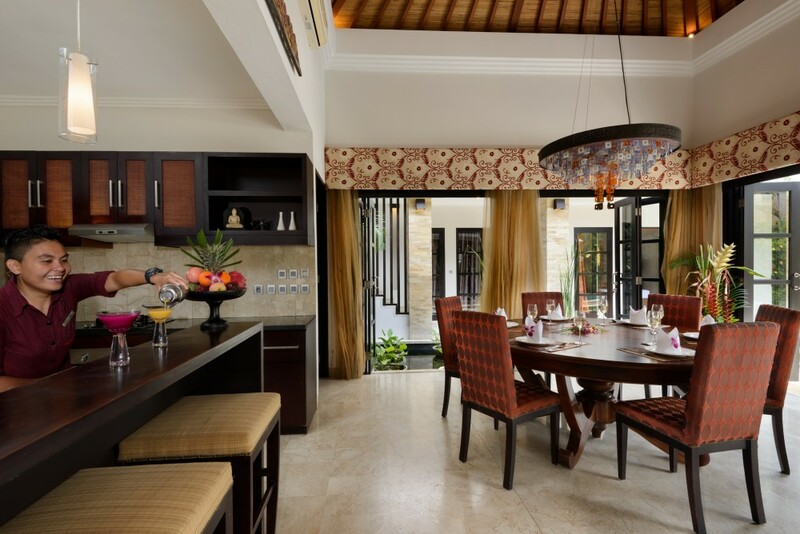 The living and dining areas feature high ceilings with louver windows above bi–fold doors allowing for wonderful air-flow from cooling breezes, air-conditioning throughout, custom designed furnishings, stunning marble floors, LED lighting and a surround sound music system. 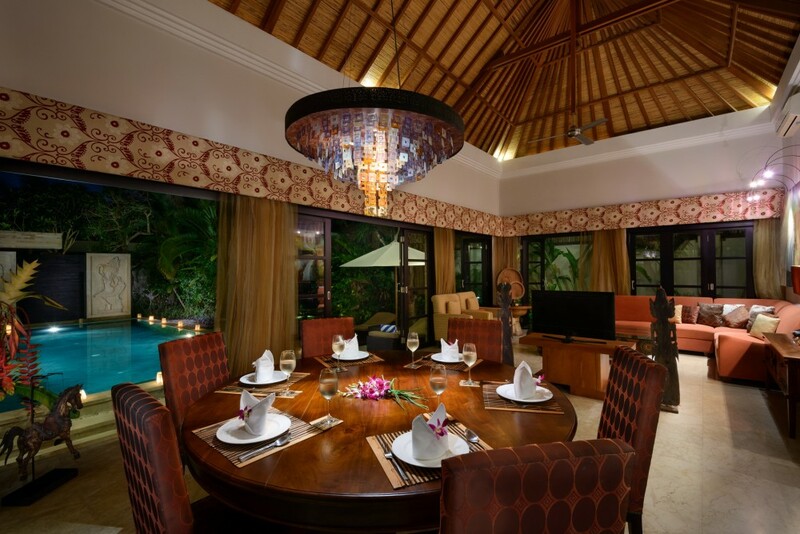 The dining room comfortably seats 8 guests and adjoins a fully equipped kitchen with dark granite bench tops with an array of appliances. The living and lounge area offers the latest in–home entertainment system including wide screen LCD TV, DVD/CD player with surround sound system, and iPod docking station. 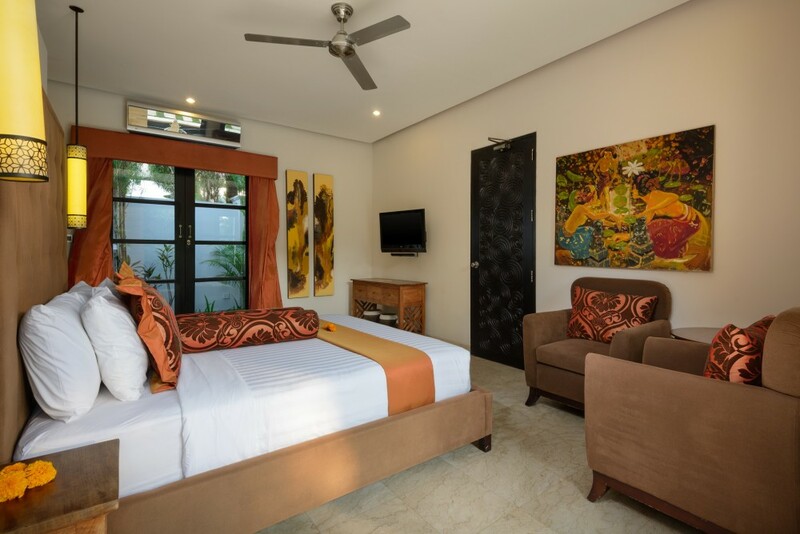 Each of the four very generously sized bedrooms include ensuites bathrooms with rain shower, separate lavatory, own private gardens, air-conditioning, ceiling fans, built–in wardrobes, study desk, LCD TV and DVD/CD player. The master suite features a double vanity and massive jacuzzi. Villa staff pride themselves on delivering service that is warm and attentive. 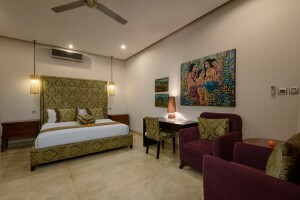 Housekeeping and butlers are pleased to serve and maintain a well-run household providing support delivered with grace while Villa Amman’s manager and team are more than happy to address any questions or inquiries guests may have in order to ensure your stay with us is as smooth and enjoyable as possible. 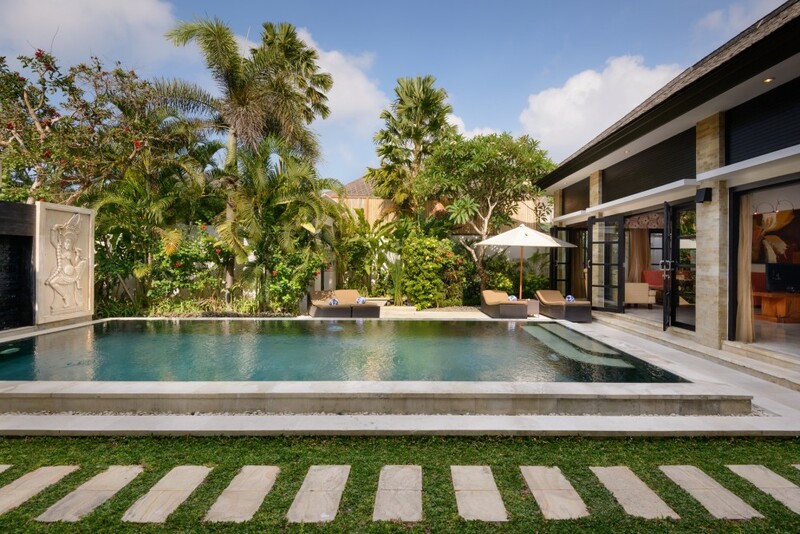 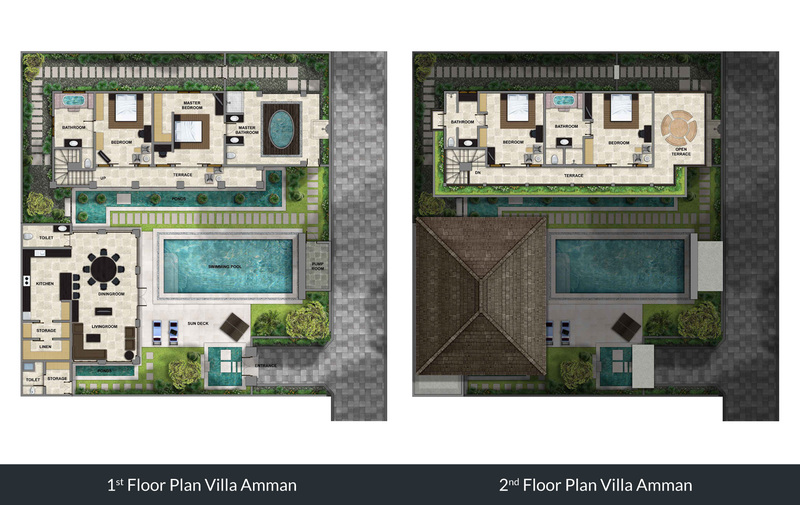 Villa Amman is located on the doorstep of JalanLaksmana and KayuAya also known as“Eat Street” which is just a few minutes away from the beach, and steps from an abundance of café’s, high-end boutiques, art galleries and lavish spas. 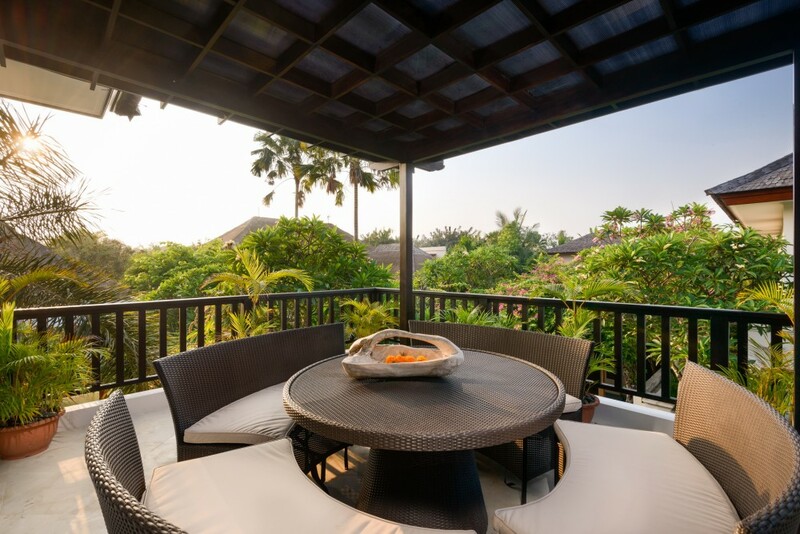 Be sure to catch a sunset on Petitenget Beach famous for its regular Balinese ceremonies complete with gamelan melody players and offerings to the Gods. 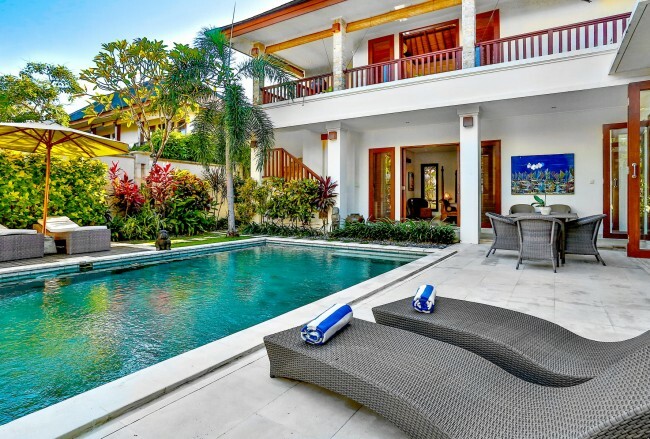 Beautiful Villa, staff and location. Staff were excellent. 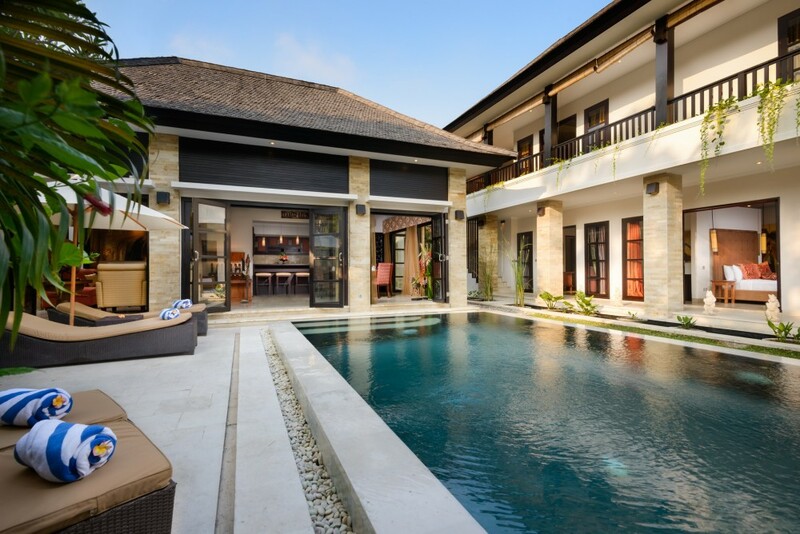 Villa is wonderful. Will be back!